It was a very exciting weekend in Hamilton, Ontario! 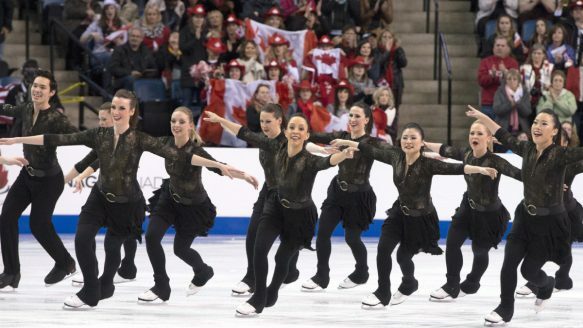 From April 8-11 some of the best skaters on the planet converged at Hamilton's FirstOntario Centre for the ISU World Synchronized Skating Championships. Skate Canada was host to these top teams and elite judges, and Bloomex was very pleased to lend support by providing the fresh flowers and gourmet gift baskets for this exciting event. 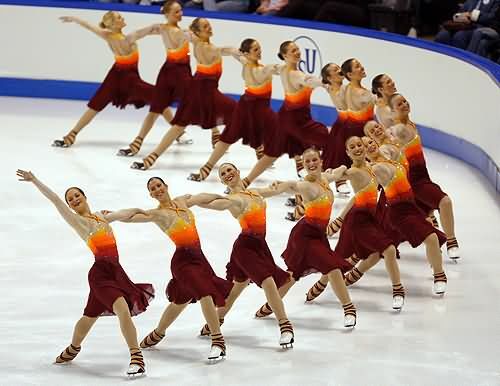 For those of you who may not be familiar with it, synchronized skating is a team sport in which 8-20 skaters perform a program together. It has a judging system similar to that of other skating competitions. Due to the variety and intricacy of elements such as blocks, wheels, intersections, moves in the field, moves in isolation, spins and pairs moves, each individual skater must be highly skilled. The team must also work together at all times, striving for perfect unison and high artistic impression. Twenty-five teams from twenty countries around the world arrived in Hamilton to compete for the gold this year. 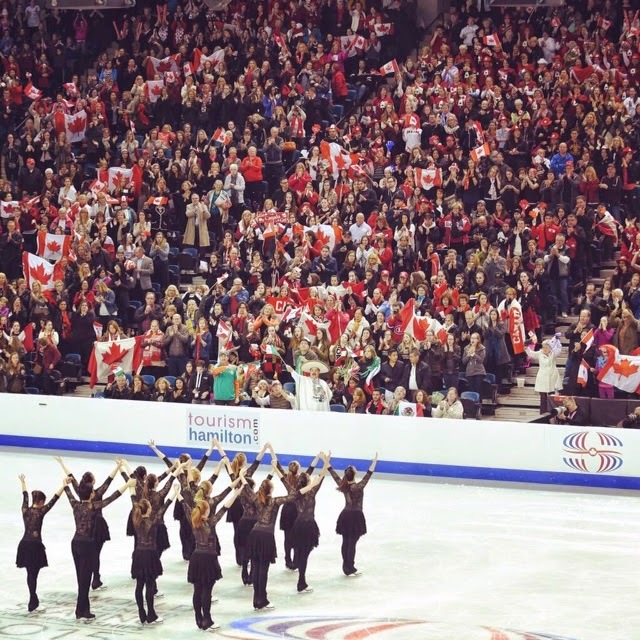 Skate Canada, which is the largest figure skating governing body in the world, organized and hosted this high caliber international event for the third time in the Championship's sixteen-year history. 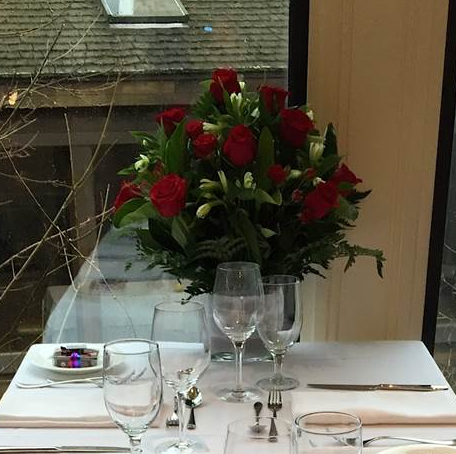 Bloomex was proud to partner with Skate Canada and to fulfill their floral and gift needs at this world class event. Bloomex supplied wine and cheese gourmet gift baskets that were enjoyed by some of the ISU judges and skating dignitaries. 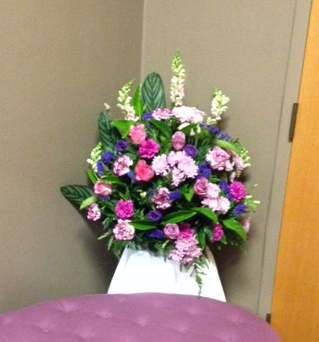 Bloomex also supplied beautiful bouquets to welcome some of the other VIP judges to their hotel. On Thursday April 9, Skate Canada hosted an ISU judges' dinner at the lovely Ancaster Mill. 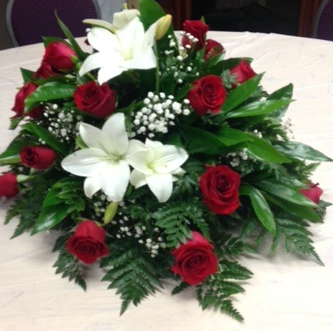 For the "Canadiana" theme, Bloomex was pleased to create some beautiful red and white centrepieces to grace the tables. Check out the Flickr stream to see more fun photos of this key event. 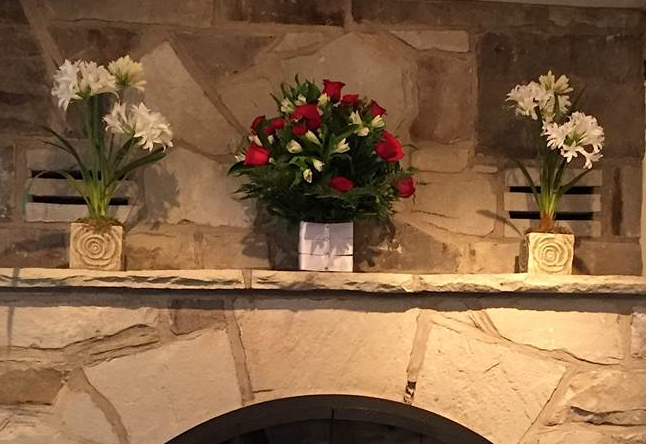 As a key contributing sponsor, Bloomex also provided flowers to brighten the arena by providing floral arrangements for the VIP lounge, skater's lounge, registration desk, and other key places around the venue. The flowers in their creative arrangements were chosen to complement the colours of the official World Synchronized Skating logo. Bloomex also provided the beautiful bouquets that were enjoyed by the podium medallists, and which were featured on various news sources. This year Canada had two teams entered, Nexxice from Burlington, and Les Supremes from St-Leonard, Quebec. Competition was fierce and the skaters faced tough competition and judging. 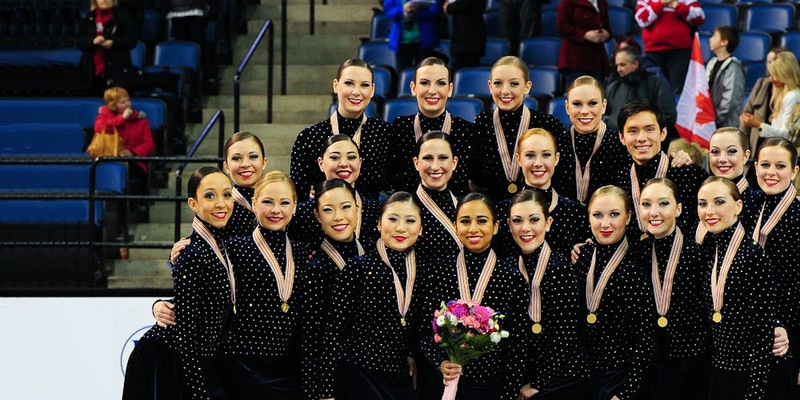 We were all thrilled when Nexxice took home the gold to make Canada the World Champion this year! Bloomex was very proud to be the official floral supplier for this fun weekend in Hamilton, a prestigious and exciting event attended by a large crowd and televised by the CBC and other international media. For more information about the Championship, please visit the Skate Canada website. You can also click to read more about Canada's Team Nexxice and their gold medal win in Hamilton.